Coal is an essential part of the global energy mix, and responsible use can help achieve the three-part goal of energy security, economic progress and environmental solutions. Best-in-class clean coal technologies are essential to providing the world with affordable, reliable and sustainable electricity. To honor companies that have demonstrated leadership and innovation in advanced coal technologies, Peabody sponsored the Fifth Annual Peabody Global Clean Coal Leadership Awards. 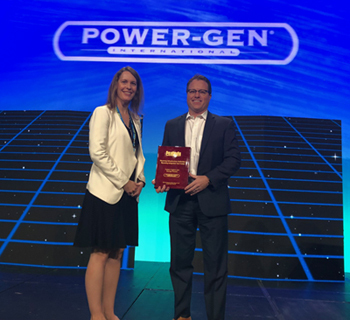 The awards were presented during the opening keynote at POWER-GEN International December 5, 2018 in Orlando, Florida. 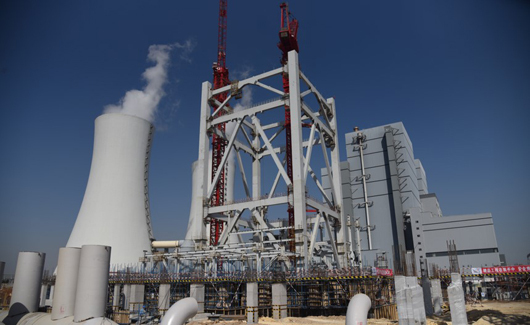 Huaibei Shenergy Power Generation Co., Ltd: The 1,350-megawatt ultra-supercritical coal-fueled generation unit is currently under construction in China with commission targeted for 2020, and is expected to be among the most efficient coal-fueled generating plants in the world. Nabha Power Limited: The 1,400-megawatt powerplant in Rajpura, Punjab achieved the best heat rate and auxiliary power consumption in India's 660-megawatt class for FY 2017 – 2018 and has 100 percent dry fly ash utilization and zero liquid discharge. 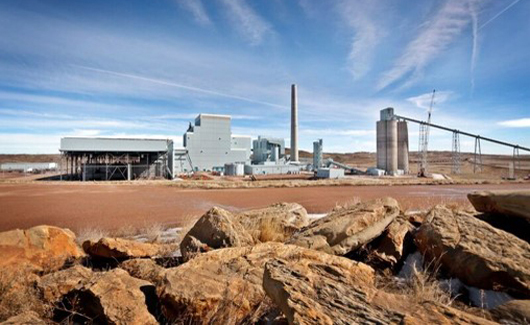 Wyoming Integrated Test Center: The test center is one of the few research and testing facilities at an operating coal-fueled generating plant and offers space for researchers to test CCUS technologies using 20 MW of coal-based flue gas. Additional research looks at taking carbon emissions from flue gas and turning it into a marketable commodity. Dynegy's Duck Creek Power Station: The 425-megawatt Duck Creek plant operates in Canton, Ill., and virtually eliminated SO2 emissions. The SO2 achievement is attributed to the wet flue-gas desulfurization technology paired with low-sulfur Powder River Basin coal. Shenergy Company Limited’s Shanghai Waigaoqiao No. 3 Power Generation Co., LTD: The 2,000-megawatt (2 units x 1,000 megawatt) Waigaoqiao No. 3 Power Generation plant located in Shanghai has one of the lowest global NOx emissions profiles at 0.11 pounds per megawatt hour. The power plant’s heat rate of 8,141 Btu per kilowatt hour is among the best in the world. Waigaoqiao No. 3 was designed to achieve high-efficiency operation and the plant’s operators have made retrofit improvements to further boost the annual average net efficiency to as high as 44.5 percent, lower heating value (LHV). Kyushu Electric Power Company Inc.’s Matsuura Power Station No. 2: The 1,000-megawatt ultra-supercritical plant located in Matsuura, Japan, is currently under construction and expected to come on line in 2019. It is designed to have an efficiency of over 45 percent, LHV, which will make it one of the most efficient coal-fueled power plants in the world, reducing CO2 and regulated emissions. U.S. Department of Energy’s National Carbon Capture Center, managed and operated by Southern Company: The National Carbon Capture Center in Wilsonville, Ala., is a world-class neutral test facility working to advance technologies to reduce greenhouse gas emissions from coal- and natural gas-based power plants. The center works with third-party technology developers to bridge the gap between laboratory research and large-scale demonstrations. In addition, the National Carbon Capture Center chairs the International Test Center Network to accelerate research, development and deployment of carbon capture technologies. 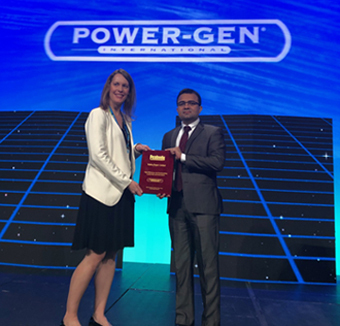 Nabha Power Limited, a wholly owned subsidiary of Larsen & Toubro, was recognized with Honorable Mention in the Heat Rate Leadership and Performance category. 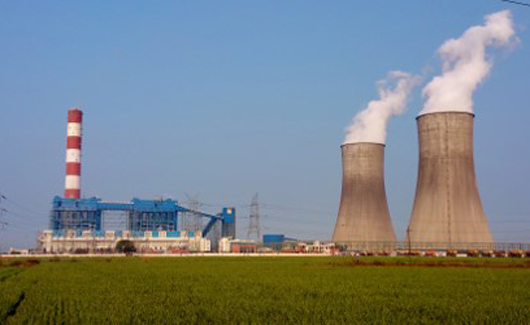 The 1,400-megawatt power plant in Rajpura, Punjab is among the most efficient supercritical plants in India, and last year notably achieved its lowest auxiliary power consumption of 5.2 percent at 77 percent plant load. In addition, the plant implemented a number of environmental controls, including Mitsubishi Advanced Combustion Technology burners for NOx emissions reduction, 100 percent washed coal, a zero-water discharge system and utilization of 100 percent of its dry fly ash on a sustainable basis. Coal is an important part of the global energy mix and responsible use can help achieve the three-part goals of energy security, economic progress and environmental solutions. Best-in-class coal-fueled technologies are providing the world with affordable, reliable and sustainable electricity. The Peabody Global Clean Coal Leadership Awards were established to showcase coal-fueled power plants for top environmental performance, highlight innovative leadership and improve education about the benefits of clean coal technologies. Why did Peabody establish the Global Clean Coal Leadership Awards? When and where are the winners recognized? 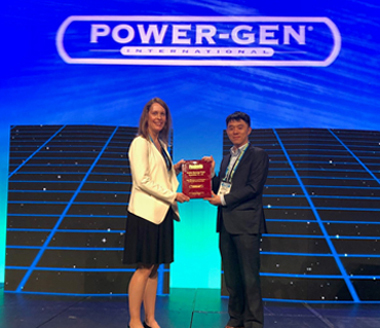 The Peabody Global Clean Coal Leadership Award winners were recognized during the opening keynote of the POWER-GEN International Conference on December 5, 2018 in Orlando, Fla.
Who are the previous award winners? For press releases and photos from previous years, click here. Whom should I contact if I have additional questions about the Peabody Global Clean Coal Leadership Awards? For questions about the Peabody Global Clean Coal Leadership Awards, please email CleanCoalAwards@peabodyenergy.com.